Check out the specs on the flat black model called the “Black Arrow”. You just need about 340,000 euros or a case with about a half million dollars to get it into your garage. Damn that’s a lot of money! Hopefully they’ll end up selling the aero-package like they did with the Rocket CLS. 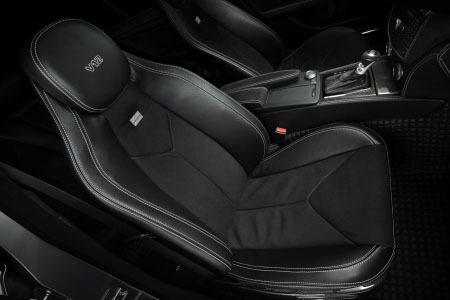 Ultra powerful, ultra fast and conspicuously inconspicuous: The four-door stealth super sports car BRABUS BULLIT BLACK ARROW offers performance superlatives like no other car on the market: The basis for the car is the body of the new C-Class sedan, covered with a special matte-black coating. 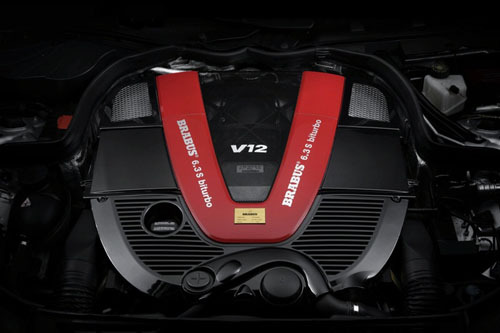 The BRABUS SV12 S Biturbo twelve-cylinder engine was dropped into the engine bay with almost surgical precision. Performance is staggering: 3.9 seconds from rest to 100 km/h (62 mph), 24.5 seconds for 0 – 300 km/h (186 mph) and a top speed of more than 360 km/h (225 mph). 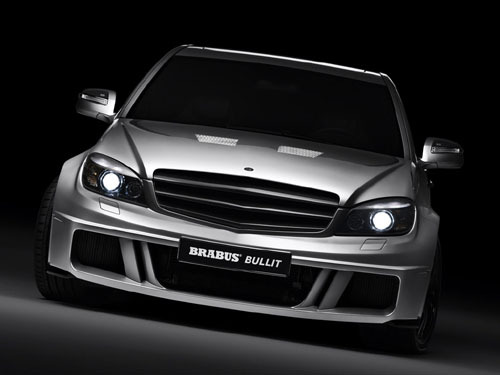 BRABUS produces the BULLIT BLACK ARROW in small-series production starting at 348,000 Euros MSRP. 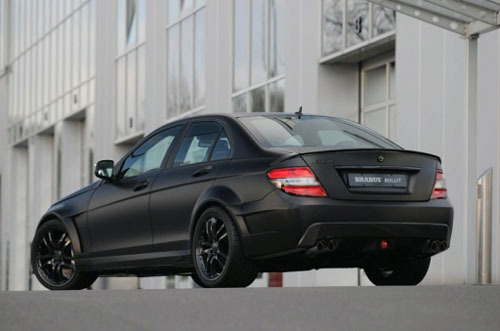 The BRABUS BULLIT BLACK ARROW ensures that the world’s fastest sedans continue to come from Bottrop. 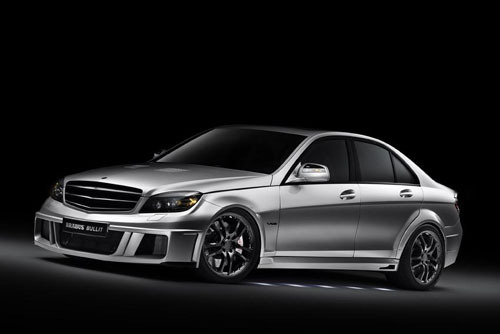 The BRABUS BULLIT BLACK ARROW follows in the footsteps of the 330-km/h (206 mph) BRABUS E V12 based on the W 210-series Mercedes E-Class, the 350.2-km/h (219 mph) E V12 Biturbo of the new W 211 generation and the world’s current fastest sedan, the 365.7- km/h (227.2 mph) BRABUS ROCKET based on the Mercedes CLS. The visual appearance of the BRABUS BULLIT BLACK ARROW is further characterized by the new hood. Its integrated ‘gills’ are not just distinctive features, they also ensure the engine’s thermal health. Final drive either 2.65 : 1 (top speed 315 km/h – 196 mph) or 2.24 : 1 (top speed 350 km/h – 217 mph – electronically limited).